“Angels all around. to keep you from harm, to guide and direct you, till your safe in God’s arms.” That’s how one song goes. Angels today have been romanticized, crafted into beings that cater to our earth-bound needs and desires. The Hebrews being addressed by this letter would have a different perspective for sure, much more aligned with the direct intervention of God’s message and guidance back through the centuries of the Old Testament history of their people. 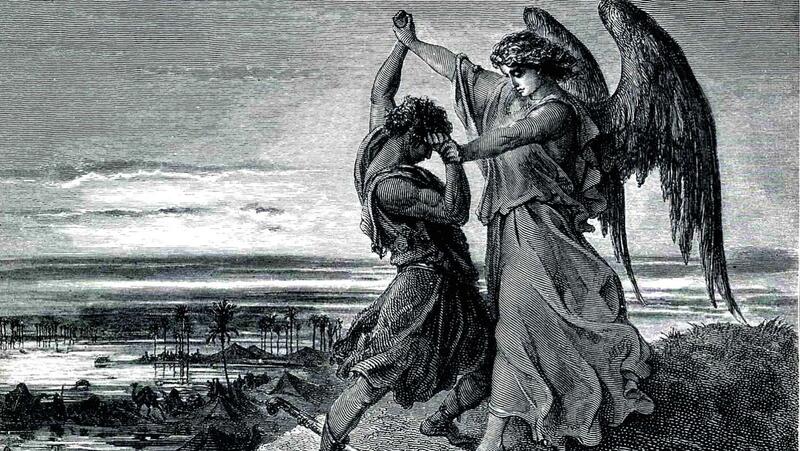 We don’t want to sensationalize the existence and impact of angels in our world or past history, but we also don’t want to miss their importance. Recall the angels announcing Jesus’ birth to the shepherds then being surrounded with a heavenly host of angels singing God’s praises. This is a more recent example of the significant place they held in God’s program and being His messengers. We are surrounded today by God’s provision. It may on rare occasion involve direct action of an angel, but more often God minister’s to us through the church and each other. We relax in His care, and stand in awe of His marvelous ways. This world is a noisy place. We know we are here as a part of God’s plan, but we do feel the pull. Godless messages abound, constant temptation to question and disregard parts of God’s revealed truth. We know we are safe in the Savior though, and we seek to grow in Him and show Him to the needy world around us. The angels on that remarkable night of Jesus’ birth must have been amazed. They sang at the top of their lungs about the great redemptive work God was accomplishing in His Son. They were carrying on a tradition that had been happening since they had been created declaring the glories and message of God. Interesting that the writer to the Hebrews chooses to begin his treatise on the rich superiority of Jesus Christ as our Savior by comparing Him to the angels. They are a special part of God’s creation, but then, so are we. There is a great message that needs to be heard in the world around us, and we need to carry on that tradition of being God’s messengers. Be sure the message gets heard loud and clear! After the primary statement of 1:1-4, the writer settles into a line of thinking that goes all the way to 10:18 – “Christ is better… let me explain.” He is going to lay down several layers of evidence to support – the first layer deals with Jewish belief system related to angels, covered in1:5-2:18. Why does the writer start his development of truth on angels? Perhaps some Jewish traditions led to a fixation, a dependency on angels to provide something tangible to hold onto for their faith. Traditions that elevate man-made things are always dangerous. Look for 7 OT quotes in these verses and consider how each of those passages relates to the Messiah and angels. 1. From Heb 1:5, when was the Son born? 2. According to Exo 34:14, how is Heb 1:6 right in saying the Son is God? 3. Why is it right to refer to Jesus Christ as “first born” in Heb 1:6? 4. Heb 1:8-9 quotes Psa 45:6-7. In what ways is Psalm “messianic”? 5. In Heb 1:9, why the Son set above His companions? 6. What does Heb 1:10-12 declare about the Son? 7. How does Psa 110:1 apply to the Son in Heb 1:13? 8. What is the main contrast between angels and the Son as seen in Heb 1:5-14? 9. What is the major transition in the book of Hebrews that occurs in Heb 10? 10. Write down key words and a summary or what each warning passage is about. Aim for a point in your life when you find that you can’t go a day without spending quality time with God and His Word. We must know the Word deeply in order to know Christ intimately. These studies aren’t intended to be exhaustive. They’re written as an encouragement for your own study in God’s Word and to provide a catalyst for your heart and mind to be engaged with the Word. Want to be able to receive notification of new posts, and also able to submit comments? Please click "Register" under the "Meta" menu to sign up for your own login to this site. Click here to read about how a passion for God’s Word can be expressed in your daily life. In the Word… every day!